The bridge across the lake can be always seen from the city of Maracaibo, Venezuela. I feel such a strong emotion that my mind begins to blur." The General Rafael Urdaneta Bridge spanning over Lake Maracaibo in Venezuela (1958-1962), designed by Ing. Professor Riccardo Morandi, a masterpiece of modern engineering, is now a Modern Landmark at Risk. The remarkable and little known story of the construction of this structure "could not be accomplished by a handful of men. From planning to financing, from design to construction, a great number of Venezuelan and European engineers worked jointly in Wiesbaden, Caracas, Rome, Maracaibo, Zürich, Paris, and Lisbon. In this way, one of the most outstanding structures of our time was erected within the stipulated -and brief- construction time." Satellital view of Maracaibo with the General Rafael Urdaneta Bridge, Venezuela. 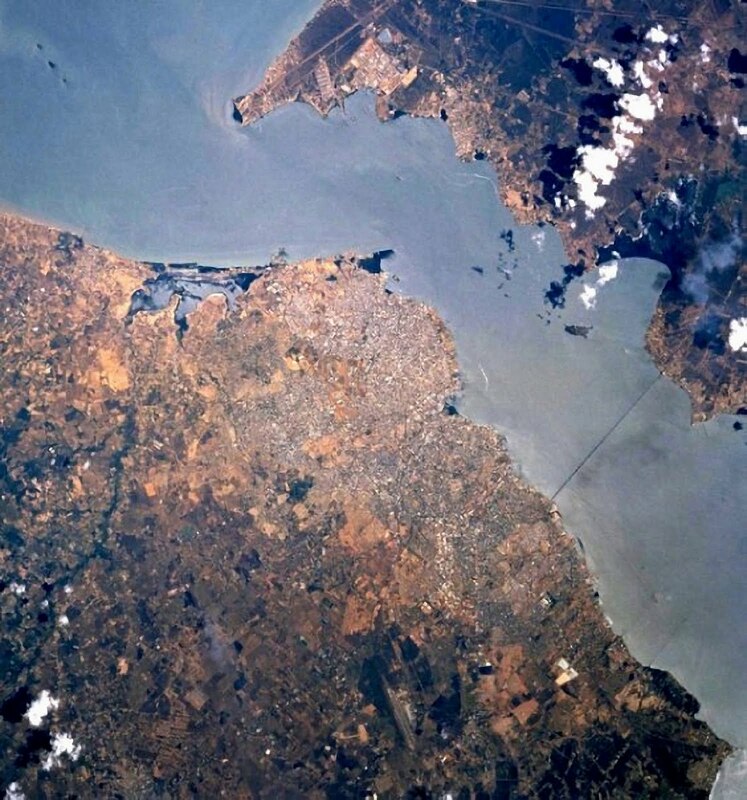 The city of Maracaibo has in the Bridge across Lake Maracaibo, Venezuela, (or "Bridge Over the Lake," as it is commonly known), a monumental modern city gate of territorial importance like no other city in Venezuela, and maybe in the world. 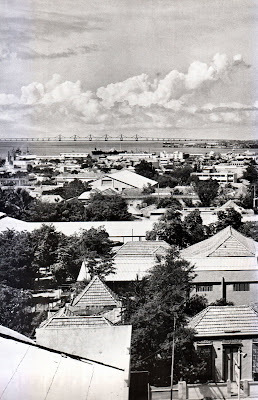 The bridge can always be seen from the city of Maracaibo. Its unforgettable architecture draws a modern skyline on the lake surface, completing the horizontal and extended skyline of the city itself. The bridge is the main sign of the modernity of Maracaibo: it is its façade on the lake, and its upmost modern landmark. 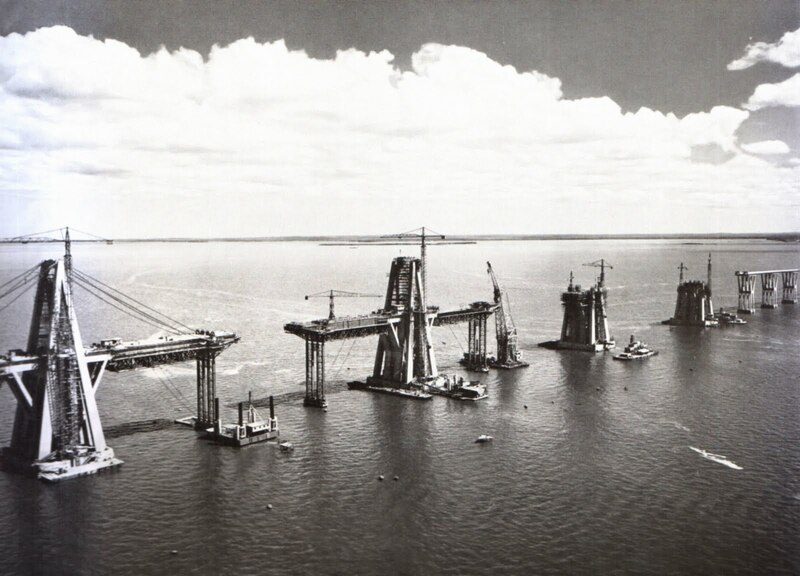 This masterpiece, built in the period 1958-1962, "was recognized at its time as one of the greatest works of modern engineering, enhancing its majesty the fact that it crosses the lake of Maracaibo, the largest in South America and a large reservoir of oil fields." It is the subject of enduring national pride, having been designated on July 16, 2001, as a Good of Cultural Interest of Zulia State, and listed as a National Landmark on August 21, 2002. Almost a decade after these landmark designations, the dramatic decay of its overall structure and the increasing difficulties to preserve its original qualities situates it as a Modern Monument at Risk, in heavy need of attracting the international attention of the scientific community. Cover of the book by Dr. =Ing. Simons, Hanns, Wind, Heinz and Moser, W. Hans, compilators, The Bridge Spanning Lake Maracaibo in Venezuela: The General Rafael Urdaneta Bridge, The Bauverlag GmbH, Wiesbaden-Berlin, Germany, (1963). The most important record and unique compilation of the history of Bridge General Rafael Urdaneta was published in a non-commercial book in 1963 in Germany by Dr.=Ing. Hanns Simons, Heinz Wind, and W. Hans Moser. 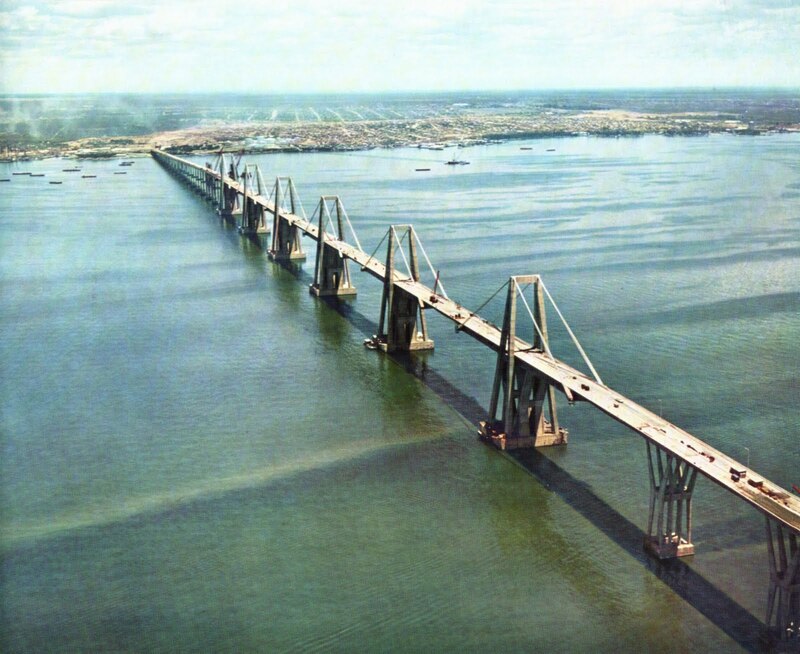 It is called The Bridge Spanning Lake Maracaibo in Venezuela: The General Rafael Urdaneta Bridge. Most of the information and illustrations that we include here come from that book, which is a landmark in itself. Every single step of the construction process is there described thoroughly with wonderful drawing schemes and photographs. Running through the pages is like jumping back to an era of excellence, courage and building genius. The bridge is an important link to the international road network. 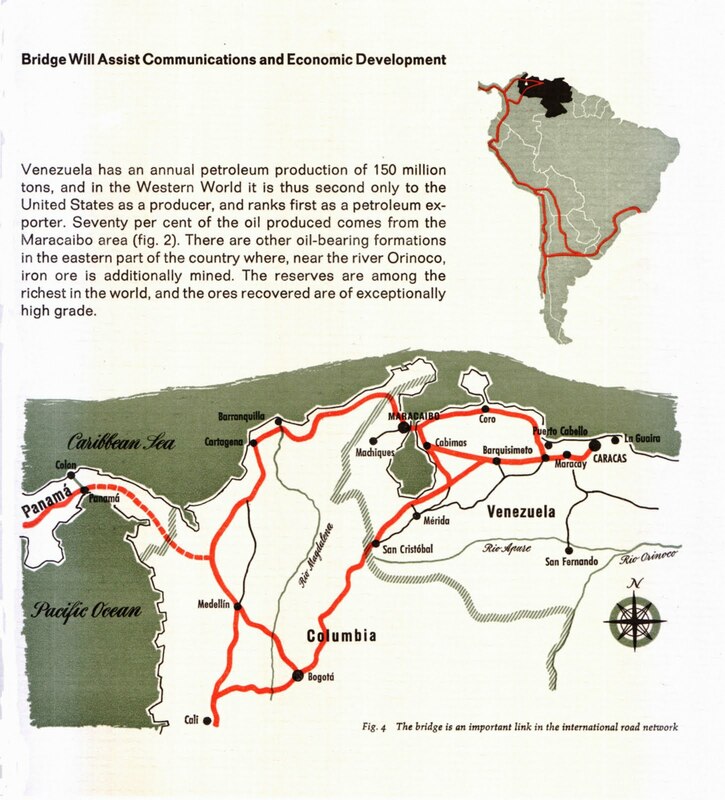 By 1961, Venezuela "had an annual petroleum production of 150 million tons, and in the Western World it was second only to the United States as a producer, ranking first as a petroleum exporter. Seventy percent of the oil produced came from the Maracaibo area." The reserves at that time were "among the richest in the world." Until 1956, "Maracaibo, remained physically distanced from Venezuela. Zulia State's economy was fundamentally based on port activity, and it was easier to travel to the islands of Aruba and Curacao than to Caracas, the capital city." In the rest of the country "the development of industry and agriculture, and the exploitation of mineral resources were hampered by the long distances to be traveled in difficult terrain. Consequently, economic development essentially called for the construction of new, and the improvement of existing communications." In addition, "new and improved communications with neighboring countries were required to provide transportation facilities. Improvement of the Pan-American Highway, comprising the Lake Maracaibo Bridge, ranked high among the tasks to be handled." The bridge was an important solution to link to the international road network. What was called at the time "The Oil Country" on the east shore, would be "finally connected with Maracaibo. Venezuela's major oil-fields are located in the eastern part of Zulia. There -between Cabimas and Mene Grande- petroleum from the inland and offshore wells is collected and piped, field-processed and transferred to oil tankers. The oil companies have their head offices, wharves, repair shops and utilities at Maracaibo, where, on the western shore of the lake, are also situated the harbor facilities and the international airport". Never before a bridge of such proportions had been built as a reinforced and prestressed concrete structure. Its total length of 8, 678m, five 235m main spans and 45m headroom launched this bridge in the late 1950s as the longest bridge of this kind in the world. In the initial stage, the Venezuelan Government "carried out extensive investigations to determine the most favorable point for crossing the lake, by it by bridge or tunnel." Five routes were tested. "Routes A to E were tested with regards to topography of the lake bottom, type of subsoil, navigation requirements and, in particular, in respect of connection with Maracaibo's traffic system. From all these, Route D provided the best solution in that it gave a direct connection between the new international airport and the oil-fields on the east shore of Lake Maracaibo. A further advantage of this route is that it runs at right angles to the shipway direction of current, which makes navigation under the bridge much simpler." Having thus established the most suitable location, "the Government of Venezuela in 1956 called for bids for a 9,000m long structure along Route D. Bidders were invited to offer a bridge or a tunnel, or a combination thereof. The structure has to have four highway lanes, a single-track railroad and openings." It was in this way that "from different parts of the world proposal began to arrive: tunnel and bridge projects or their varied combinations." 3. First international Tender Action (1956). Ten firms were invited to tender. They submitted eighteen varied designs. Four of these designs "would permit a continuous flow of road and rail traffic, regardless of shipping." The other designs "provided level railway and road approach sections as far as the central spans. For rail traffic there was then a vertical lift bridge, and for road traffic a tunnel or a separate bridge to link the approach sections." 4. Second International Tender Action (1957). The tenders submitted during the first action had to be abandoned, "because of fresh stipulations about the shipping and highway authorities. Accordingly, the Venezuelan Government in 1957 invited the same selected firms to submit new bids to take account of the changed conditions. 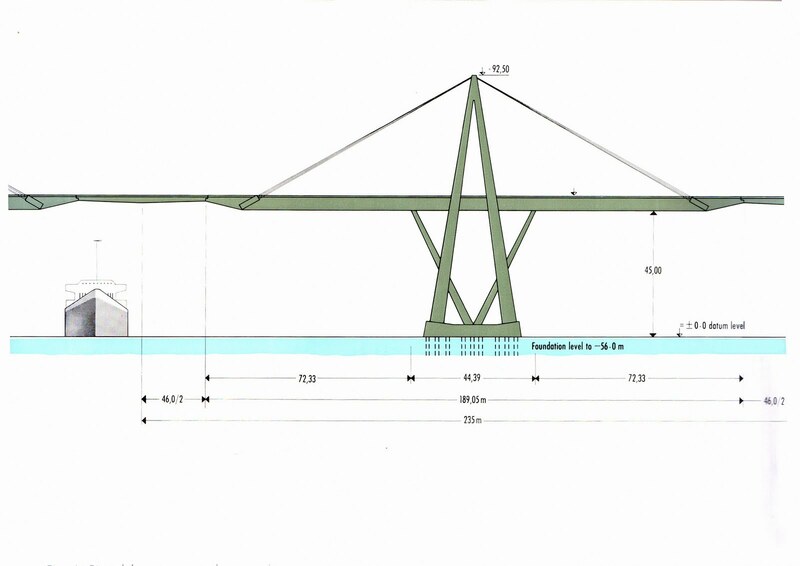 It was specified that the free central span of the bridge should have a 400m waterway, and that on either side of this there should be five openings each giving a waterway of 150m. It was also specified that these eleven openings should have a 45m vertical clearance and be located above the natural shipping channel. Twelve bids were submitted; they ranged from 284 million to 760 million Bolivars. (At that time the exchange rate was 3.35 Bolivars to the American dollar). With one exception, all the designs provided for a steelwork superstructure. Only one tender submitted was based on an all-reinforced and prestressed concrete structure." "1. Greatly reduced maintenance costs. Because of the climatic conditions in the Maracaibo area, the annual upkeep of a steel structure was estimated at two million Bolivars. 2. The visual appeal of the design. 3. Less foreign exchange would have to be spent on imported materials. 4. A large number of Venezuelan engineers and skilled labor would be given the opportunity of acquiring experience in prestressed concrete fabric. Thus, on 25th May, 1957, the Venezuelan Government approved the design and accepted the bid of 329,580,136 Bolivars. 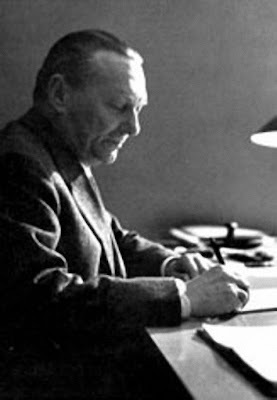 The finalized contract was signed in Caracas, on 15th August, 1957." Riccardo Morandi, engineer (Rome1902-1989). Photographer and date unknown. But, who were the bid winners? The Venezuelan Ministry of Public Works awarded the contract for the design and construction of the new bridge "to the Consortium Puente Maracaibo. The Consortium comprised Precomprimido C.A., from Caracas, Venezuela, and Julius Berger A.G., from Wiesbaden, Germany. Firms associated with included Grün & Bilfinger A.G., Mannheim, Philipp Holzmann A.G., Frankfurt a.M., and Wayss & Freytag K.G., Frankfurt a.M., all of Germany. Most importantly, a design by Professor Ing. Riccardo Morandi, Rome, "served as the basis for the structural analysis and detail plans." World-known Professor Morandi was born in Rome in 1902 and graduated in Engineering also in Rome in 1927. He was an internationally acclaimed engineer, "who practiced as an international counselor in Building Construction Techniques and as a Professor in charge of Bridge Form and Structure courses at the Facoltà di Architettura dell˙Università di Firenze. 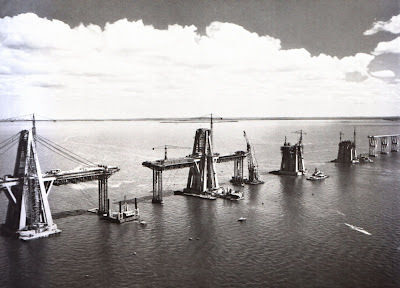 Before winning the international competition for the bridge over lake Maracaibo, he had won in Venezuela in 1951 an international competition to build a bridge in the zone of Pagüita in Caracas and had built a bridge over the river Tuy, close to the capital." Prof. Ing. 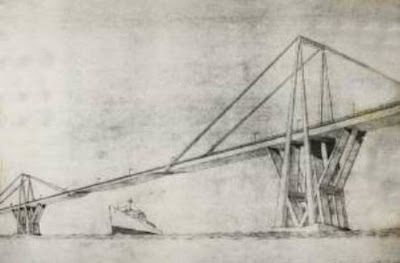 Morandi's design for the second tender. Precomprimido C.A. founders, engineers Oscar Benedetti and Juan Otaola Paván, circa 1950. (f. Universidad Católica Andrés Bello, Caracas). 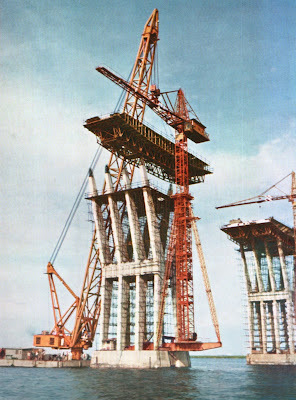 Precomprimido C.A is since 1951 "Venezuela's most important engineering and construction company. Its founders, engineers Juan Otaola Paván and Oscar Benedetti, were pioneers in Venezuela in the construction of highly engineered works. Theirs was the first company to use prestressed concrete in the country. 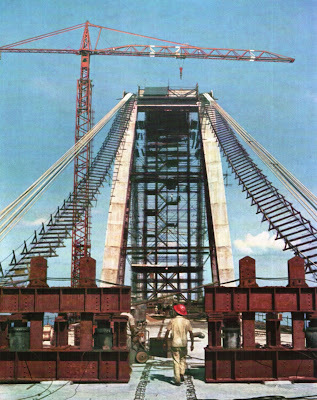 Among their other Caracas important engineering works are the Viaduct New Republic (also with Riccardo Morandi, 1954) and the famous La Gaviota Bridge (1955)." The Consortium was also conformed by the renowned German enterprise founded in 1890, Julius Berger A.G., and engaged Professor J. Kérisel, Paris, "to handle the particularly complex aspects of soil mechanics. The National Laboratory of Portugal, Lisbon, was commissioned by the Venezuelan Government to carry out models tests to prove the fundamental principles and structural analysis results. The examination of the structural analysis and working drawings prepared by the Consortium and the control of design were entrusted to the late Professor P. Lardy, G. Schnitter, and Dr. F. Stüssi, of the Swiss Federal Polytechnic Zürich. The excellent co-operation of all concerned made it possible to complete the prodigious construction, including all design work, within the contract time of forty months." An immediate start was made on equipping the site. Nevertheless, in January 1958, operations had to be suspended because a new government came in to power. The dictatorship of General Marcos Pérez Jiménez had come to an end after a major popular rebellion. On February 13, 1959 Rómulo Betancourt takes office to rule the country for the second time, in a term that "was marked by the development of the oil industry in Venezuela with its adherence to OPEC", and the building great civil works. It was his duty "to inaugurate the work on August 14, 1962." Fortunately in the meanwhile, the Ministry of Public Works managed "to discuss with the contractors ways of reducing the construction costs. As there would have been no immediate need for a railroad rack across Lake Maracaibo, it was decided that this part of the project should be dropped. Also, at the request of shipping interests, the proportions of the main spans were amended. The design was revised to give five openings, each having a 200m width of waterway, and the original 400m wide central opening was deleted; the vertical clearance was to be 45m. In April 1959 work was started." The 235m main spans. The deck is 50m above the lake level. Maracaibo is not situated in a seismic area, but it is not immune to shock waves from earthquakes in adjacent regions. As is written in the book, "the employer required that, should one span of the bridge be affected by an earthquake disturbance, the adjoining spans would not also suffer damage". Therefore, the design provided for all members to be of the statically determinate type. In order to complete the 8, 678m long bridge in the short contract time, it was essential that, wherever possible, uniform members should be used. This enabled numerous units to be prefabricated at a plant on shore, specially equipped for the purpose. Site seen from the air. Starting from the low eastern shore, the structure features a 406m long embankment, after which come twenty 36.60m spans. This effective span was decided upon for the railway and road bridge, and had to be adhered to because the foundations had been completed when it was decided that the bridge should be for road traffic only. Then follows a section having seventy-seven 46.60m spans, initially, this is 5.5m above water level and then rises at a gradient of 0.4 per cent and ultimately at a gradient of 2.47 per cent to reach a height of 24m. Up to this point the 46.60m spans provide openings of balanced proportions. But if this span had been retained for the next section of the bridge, extending to a height of 50m, the design would have been monotonous and the piers disproportionately high. 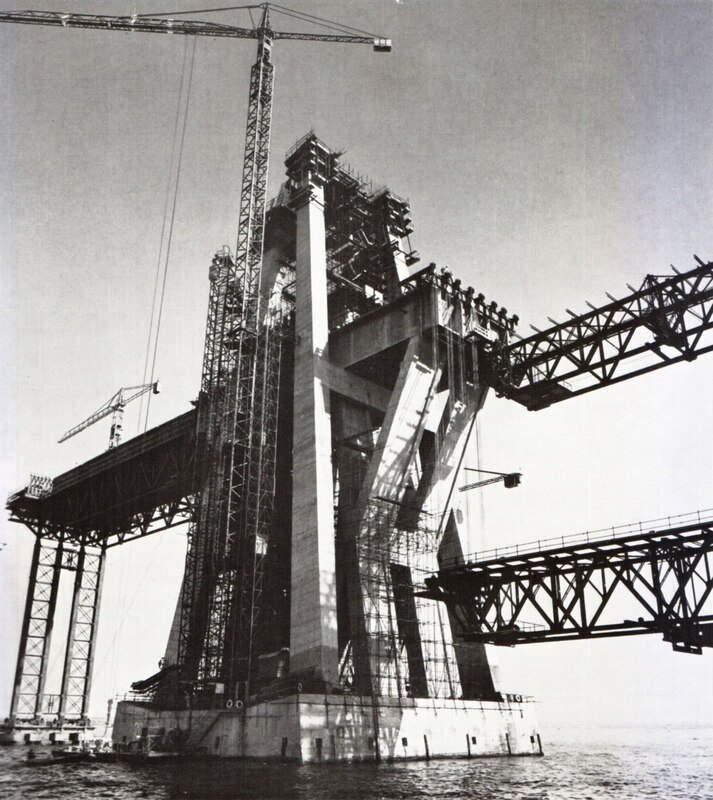 Therefore, the span was increased to 85m, and instead of plain piers, V and H trestle piers were employed; on top of them were mounted 39m long caps, thereby permitting the continued use of the 46.60m girders as suspended spans. As the height of the bridge increases, the V shape of the trestle piers is gradually transformed to an H by lengthening the pier legs in their lower parts. The size of the caps, V-sections of the piers and cross beams remains constant. Consequently, only minor changes were required in the centering, shuttering and reinforcement, from one pier to another. This facilitated and accelerated the construction operations. Two special trussed steel centering were fabricated for the caps. They had high-quality plywood shuttering. The shuttering and practically all the reinforcement were assembled on these centering on land, and a complete service girder was placed in position with the aid of large floating cranes. It was extremely difficult to bridge the navigation openings of 200m waterway and 45m headroom by a reinforced concrete structure. Handling a 6m long pile. The Ajax 250-ton floating crane handles 46.60m precast girders. The Giraffe 125-ton floating crane places a service girder on one of the two highest piers of the 85 m spans. Trestle pier towers 49.50m into the sky. Climbing shuttering for V-shaped piers in place. 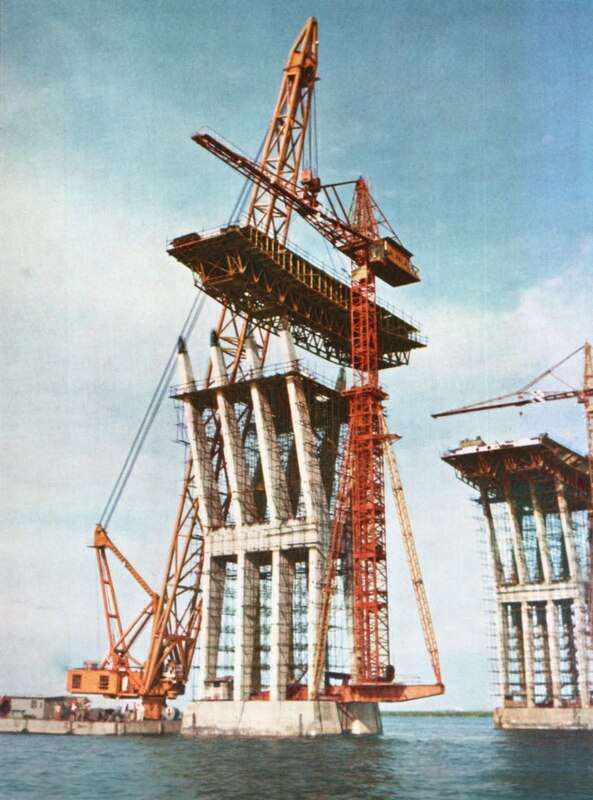 Structures 22, 23, 24 and 25 under construction. A service girder is being raised into position. To this end, for the first time in the world, five large tied cantilever bridges of concrete, having 235m spans, were designed and constructed. The inclined ropes for the cantilevered girders pass over 92.5m high reinforced concrete towers. Extensive investigations and calculations were necessary to determine the complex system of forces in the ropes, cantilevered portions and reinforced concrete towers." Bridge ropes were pulled on the catwalks up to the roller saddle and down the other side. Forty months after the works had begun, the bridge was ready to start operating..
From 1962 until 1990, "the management of the bridge was done by the National Government through the Ministry of Finance, who performed the activities of collection and administration of funds, and by the Ministry of Public Works, responsible for maintaining the structure. In December 1989, the Congress of Venezuela transferred directly to the states the conservation and use of all the roads, bridges and highways in their territories. On July 26, 1991, the Zulia State Legislative Assembly enacted the "Law according to which the Zulia State assumes the Conservation, Management and Use of the bridge General Rafael Urdaneta over Lake Maracaibo." According to a concern for keeping in optimum condition the bridge structure, the Zulia State Government assumed as a priority the allocation of investments for the rehabilitation and continuous improvement of the bridge's conditions. The main objective was to restore the structure to its "brand new" condition, taking into account the bridge's original load capacity and levels of service." In May, 2009, the Venezuelan Government decided to re-centralize again the management of the bridge. Since then, an increasing deterioration began. This decay lasts until today. Minor and major maintenance "is only performed to correct problems and as a reaction to crisis." In 2010, the Colegio de Ingenieros de Venezuela publicly expressed their alarm. They said that the bridge is in an emergency, "due to a crack in its structure which has yielded several centimeters." In this regard, they asked for its immediate closing: "A comprehensive review of the entire structure is required, and can no longer be postponed." And they warned that "a partial collapse might occur." The main problem is "the degradation of concrete in several of the bridge parts" and the decay of the ropes. Also, "the falling parts of concrete pieces, leaving the steel uncovered." Corrosion damage is practically everywhere. Traffic in the bridge over the lake has increased enormously, but as the control scales are damaged, no one surveys the number of vehicles going upon it today. A very dramatic situation for a structure designed for a maximum of 20,000 vehicles per day, which now is said to be having 40,000 per day. Local fishermen and marines from the Lake Maracaibo also do their own alarm call to the national and international community: "If you see the bridge form below, you would not want to pass over it." 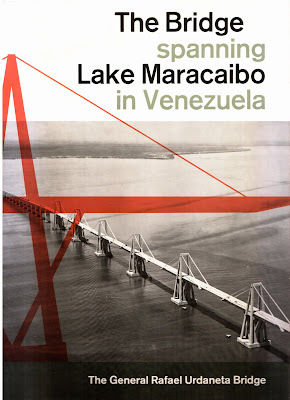 * The authors want to give special thanks to architects Jazmine Lizcano, Director of the Centro Rafael Urdaneta in Maracaibo, Zulia State, and Frank Alcock, grandson of engineer Gustavo San Román, who participated with his firm VICA in the tender actions for this bridge, both DoCoMoMo Venezuela members. "Cuando voy a Maracaibo/y empiezo a pasar el puente/siento una emoción tan grande/que se me nubla la mente," Maracaibo 15, from the Zulian gaita Cuando voy a Maracaibo, (1960s). Remark from engineer Rino Montiel, ex-Director of bridge General Rafael Urdaneta. Simons, Wind, and Moser, Op.Cit.,(1963): 19. Simons, Wind, and Moser, Ibid., (1963): 5. Simons, Wind, and Moser, Op.Cit., (1963): 8. Simons, Wind, and Moser, Ibid. (1963): 9. Santini, Pier Carlo and Marini, Giusseppe Luigi, "Riccardo Morandi", in: Catalogo Bolaffi della Architettura Italiana, Giulio Bolaffi Editore, Torino, (1966): 380-383. Simons, Wind, and Moser, Op.Cit., (1963): 10. Simons, Wind, and Moser, Ibid. (1963): 12-14. 1. Revista del Colegio de Ingenieros de Venezuela, Caracas, (1952): 168. 3. Beckett, Derrick, Great Buildings of the World: Bridges, Paul Hamlyn, New York (USA), (1969): 144-155. 4. Billington, David P., "History and Aesthetics of Cable-Stayed Bridges", in Journal of Structural Engineering (ASCE), n. 10, v. 117, October, (1991). 5. Brown, David J., Bridges, Macmillan Publishing Company, New York (USA), ISBN 002517455X, (1993): 130. 6. Deswarte, Sylvie, L'architecture et les ingénieurs, Moniteur, Paris (France), ISBN 2281190994, (1997): 144. 7. Dupré, Judith, Bridges, Black Dog & Leventhal, New York (USA), ISBN 1884822754, 1997; pp. 90-91. 8. Dupré, Judith, Brücken, Könemann, Cologne (Germany), ISBN 3829004095, (1998): 90-91. 9. Dupré, Judith, Les ponts, Könemann, Cologne (Germany), ISBN 3829004109, 90-91. 10. 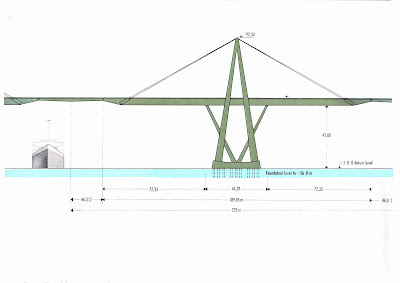 Fernández Troyano, Leonardo, Bridge engineering, Thomas Telford, London (United Kingdom), ISBN 0727732153, (2003): 604-621. 11. Fernández Troyano, Leonardo, Tierra sobre el agua, Colegio de Ingenieros de Caminos, Canales y Puertos, Madrid (Spain), ISBN 8438001483, (1999): 90. 12. Imbesi, Giuseppe, Riccardo Morandi, Gangemi Editore, Rome (Italy), ISBN 887448626X, (1991): 181-186. 13. Otaola, Jr., Juan, "Replacing Corroded Cables on a Cable-Stayed Bridge", in Civil Engineering Magazine, n. 9, v. 52, September, (1982). 14. Picon, Antoine, L'art de l'ingénieur, Éditions du Centre Georges Pompidou, Paris (France), ISBN 2858509115, (1997): 278-279. 15. Prade, Marcel, Les grands ponts du monde: Hors d'Europe, Brissaud, Poitiers (France), ISBN 2902170688, (1990): 187. 16. Roik, Karlheinz, Schrägseilbrücken, Ernst & Sohn, Berlin (Germany), ISBN 3433009244, (1986): 40. 18. 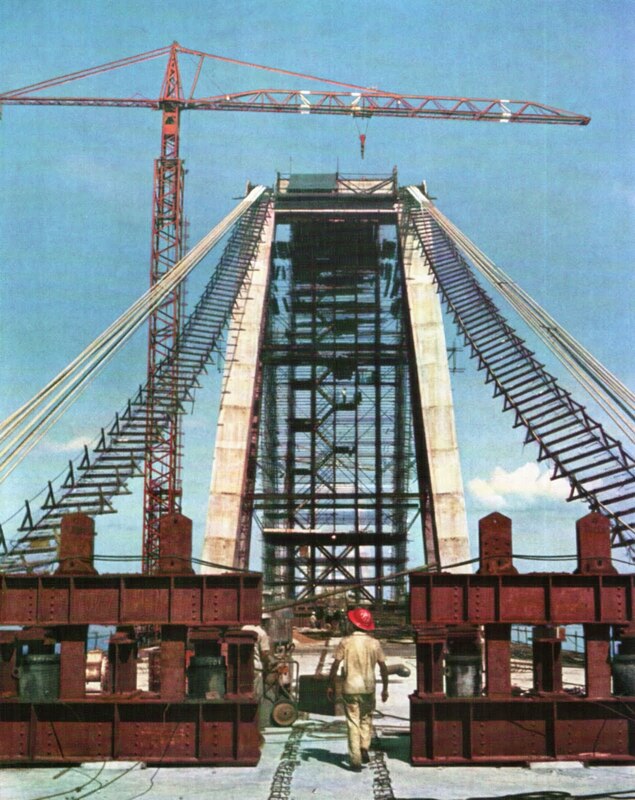 Sarcos Portillo, Antonio R., "Evaluating the Central Piers of the Maracaibo Bridge, Venezuela", in Structural Engineering International, n. 2, v. 9, May, (1999). 19. Troitsky, M. S., Cable-Stayed Bridges, Crosby Lockwood Staples, London (United Kingdom), ISBN 0258970340,(1977). Este articulo no esta disponible en español??? me hice la misma pregunta. it's a very interesting article. The very similar bridge in Genova (Italy), designed by the same engineer that have design this bridge, collapsed the 14/08/18. May have similar problems but it's too soon to know.